January 1953. The Cold War is at its coldest. President Dwight D Eisenhower is receiving increasingly alarming reports that Joseph Stalin’s mental health is rapidly deteriorating. That he’s about to recommence his horrifying purges. That his nuclear bomb programme, likely to precipitate another World War, is almost complete. Within hours of his inauguration, Eisenhower makes the most audacious decision ever taken by a US President: the sanctioning of Operation Snow Wolf. 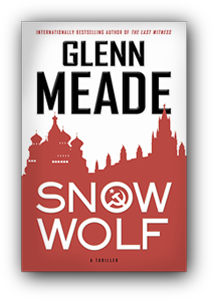 Two CIA agents, posing as man and wife, will travel across the icy wastes of Russia to Moscow to assassinate the world’s most powerful man. Quite by chance, however, from the moment they land on Soviet soil, the KGB get wind of the plan. Consequently the agents find themselves under fatal threat from two fronts. One they expected. And one they most certainly did not.